This is to remind you that there will be a Parent - Teacher meeting for Malayalam School on Saturday, 03/28/15 at 10.30 AM. Meeting will be held in class room # 4. 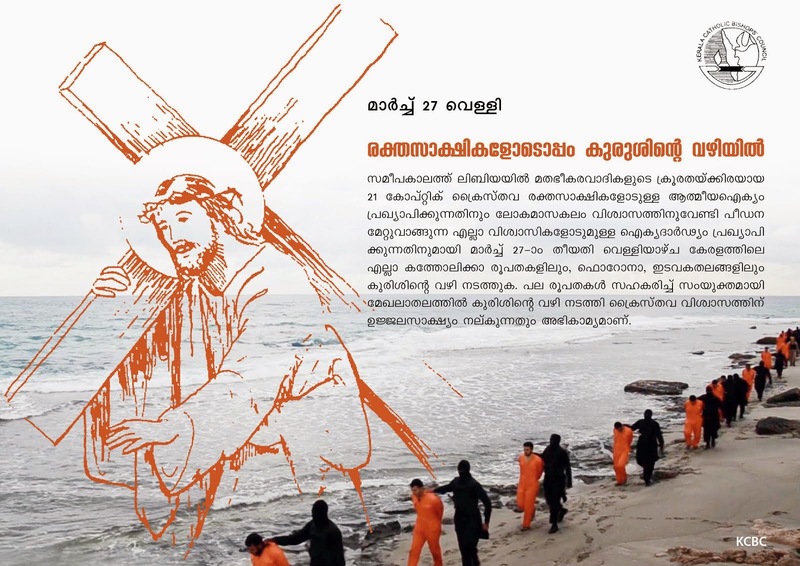 Please know that following the Malayalam School, there will be a practice for the Little Angels Choir @ 12.30 PM and one on 03/29/15, Palm Sunday, @ 2.30 PM after the mass. Thanks. Have a blessed Lent Season. 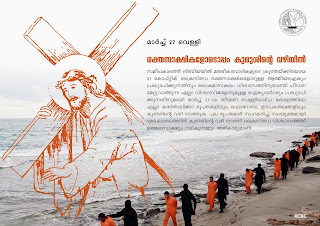 Our Mother church is asking us to offer the Way of the Cross on this Good Friday in Solidarity with the persecuted Christians in the middle east. The church also encourages us to donate blood in connection with the Holy Week. 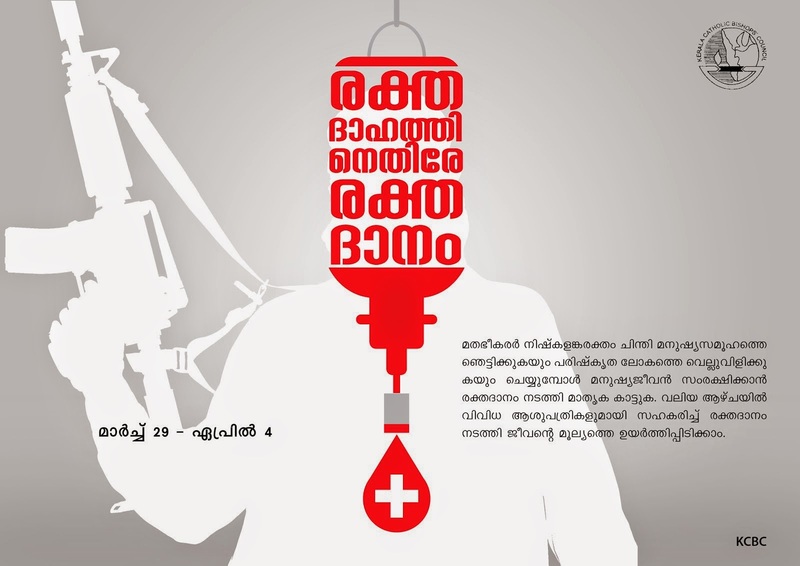 There will be no Malayalam School tomorrow. Please bring the children for the Lenten Retreat. There will be a practice for the Little Angels Choir on 03/28/15 (Saturday @ 12.30 PM) and on 03/29/15, Palm Sunday, @ 2.30 PM after the mass. Please mark your calendar. Happy Feast of St Joseph, powerful protector of families! Our Annual Parish Retreat is starting tonight. The anointed retreat preacher Rev Fr Mathew Elavumkal VC (Kochumathew achan) is already here from Divine Retreat center Kerala. Make sure we all attend tonight's healing Mass. The Mass will begin only by 7pm as there will be music to begin with at 6.30pm. So, even if you return home a bit late from work, do not miss this great opportunity. Please pray three Hail Mary for the fruitfulness of the retreat. - As we all know our Lenten Retreat tomorrow Thursday, March 19th with the Healing Mass at 6:30 pm. - The following days will begin with an hour of Adoration to intercede for the fruitfulness of the retreat. Friday at 4.30 pm, Saturday at 8.00 am and Sunday at 11:00 am. All are welcome to join us. - Priests will be available for hearing confessions on Saturday and Sunday. - Youth will have separate sessions at the same time in the basement on Friday, Saturday, and Sunday. Rev. Fr. Rijo will lead the sessions for youth all three days. Encourage your children to attend and make use of this great opportunity. - Kids under thirteen will have separate session. - Food will be served during retreat times on all three days. - Your generous offerings will be greatly appreciated to cover the costs. - Those who have babies with them please use the Baby's Room in the back of the church as needed. - Please either switch off or keep your phones on silent mode during the retreat. 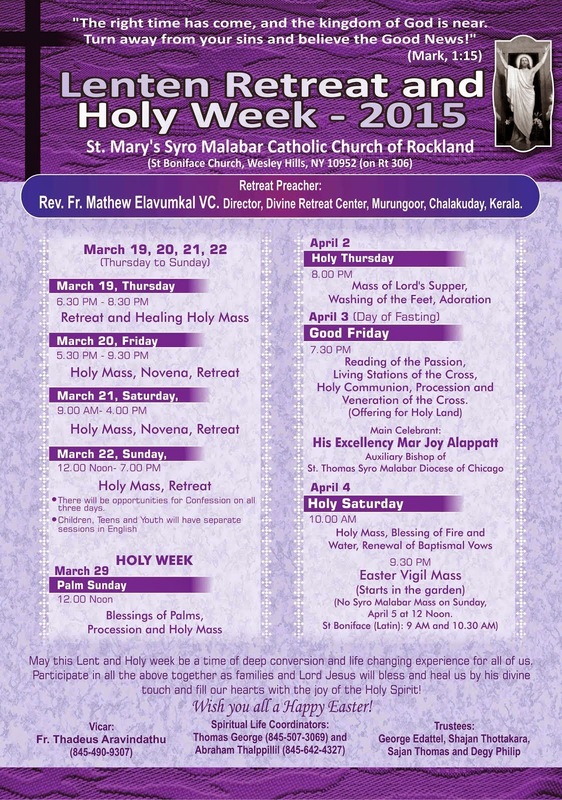 - As we all know our Lenten Retreat starts on Thursday, March 19th with the Healing Mass at 6:30 pm. - Kids under thirteen will have separate session from the youth. When you pay for tickets please write "JERRY AMALDEV SHOW" on the memo area of the check. There will be a practice for the Little Angels Choir on 03/14/15 (Saturday @ 12.30 PM) at the church. Please bring the children on time. Food will be provided. As usual we will conduct our monthly Night Vigil on Friday, March 6, starting at 5:30 PM until 10:00 PM. Rev. Father Thadeus Aravindathu will offer Holy Mass, and lead the Novena as well as the Adoration. I am saddened to tell you that our beloved Cardinal Edward Egan, the Archbishop of New York from 2000-2009, has gone home to the Lord. Thank God he had a peaceful death, passing away right after lunch today, with the prayers and sacraments of his loyal priest secretary, Father Douglas Crawford, in his residence at the Chapel of the Sacred Hearts of Jesus and Mary. He was rushed to NYU Langone Medical Center where he was pronounced dead at 2:20 pm this afternoon. Join me, please, in thanking God for his life, especially his generous and faithful priesthood. Pray as well that the powerful mercy of Jesus, in which our Cardinal had such trust, has ushered him into heaven. My sympathy to his natural family, who will grieve for their uncle, and to you, his spiritual family here in the Archdiocese of New York. I'll keep in touch as our arrangements are made. Please read and reflect on the circular from our Bishop Mar Jacob Angadiath. Kindly see the attached circular by His Excellency Mar Jacob Angadiath to be read during all Holy Qurbana in our parishes and missions on Sunday March 1, 2015. 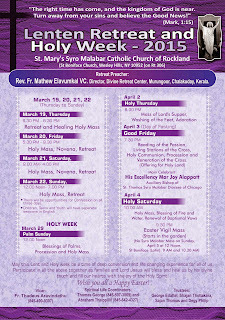 Please see the Lenten Retreat and Holy Week schedule in this mail. Print out and keep it somewhere you can always see it and be reminded of those important days of the memory of our Salvation History. Hope you can also save it on your smart phone or tablets for reference. We will send you a detailed program of the retreat for the youth and children in a few days. See you at CCD and Mass this afternoon. In Jesus who died and rose again for us!